since you can avail almost basic amenities. It offers hotel facilities like doctor on call service, parking facility and room service as well. By ensuring guests' satisfaction, hotel has become very popular among the visitors. 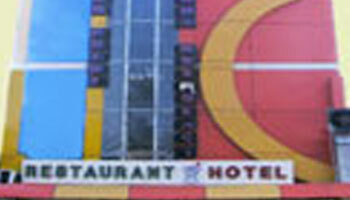 Hotel is about 7 kms from Agra Airport and about 5 kms from Agra railway station. Hotel is 10 minutes from the shaking Minarets and Gandhi's residence. Travel Counter, Security Guard, Backup Generator, Room Service, Doctor on Call, Currency Exchange, Breakfast Services, Laundry Facilities, Airport Transportation, Parking. H/C Water, Attached Bathroom, Toothbrush/Razor on Request, House Keeping, Wakeup Calls, Cable/Satellite TV, Air Conditioning Room, Iron/Ironing Board, DVD Player.